The John McEntyre Team Space (JMTS) at the Faculty of Engineering is a collaborative space that provides precompetitive teams involved in large-scale projects with the space and infrastructure required to push technological and mechanical boundaries, promote the development of skills and expertise and strive for success. The JMTS is located in the new STEM Complex across from the Brunsfield Centre, which allows students to use the various machines located in the Centre as needed. 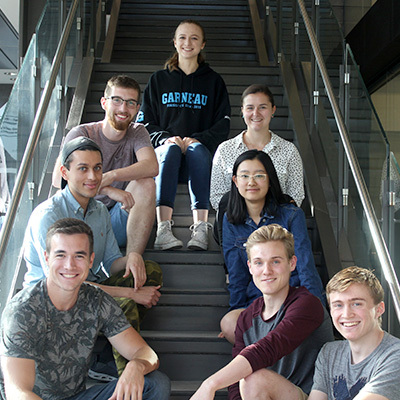 These teams represent the University in diverse international competitions. The goal is to be able to maneuver through any, and all terrain put before the vehicle in a controlled, yet fast and reliable manner. 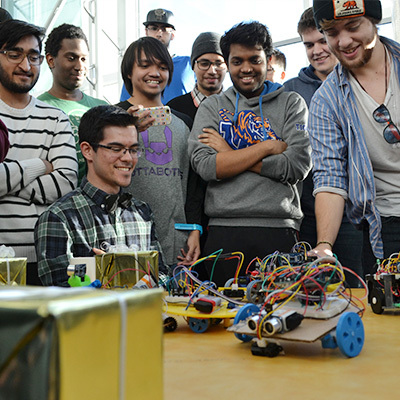 The GNCTR is the largest and oldest student engineering competition in Canada. 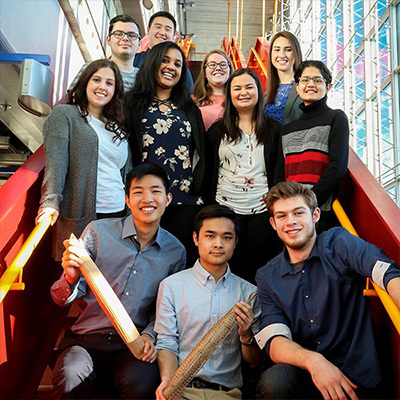 The project involves designing and constructing a metal frame toboggan, with a running surface made completely out of concrete, to race it down a steep snow-covered hill! Design and build a hip-mounted wearable robotic device to assist in the rehabilitation. Design, develop and construct a single-seat racecar for the non-professional weekend autocross racer. 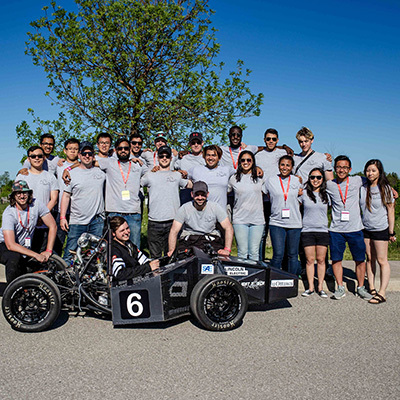 Formula SAE strives to achieve the best overall design, construction, performance and cost. 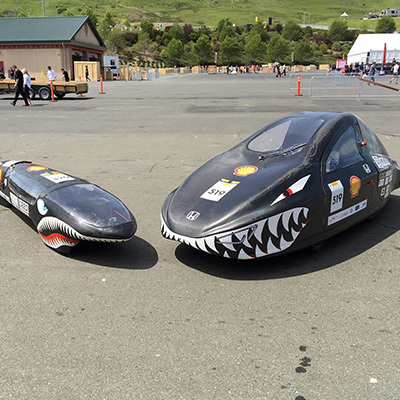 Robot boats, drones, and autonomous cars – this team can fill your robot fix! 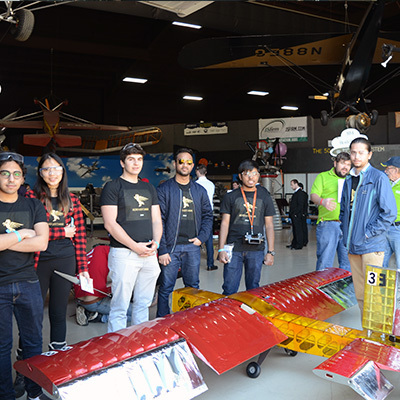 Design and build a 10-foot RC aircraft with the purpose of developing a fundamental understanding of flight. Develop and construct a single-person, fuel-efficient vehicle and compete in the electric, combustion or urban concept categories. 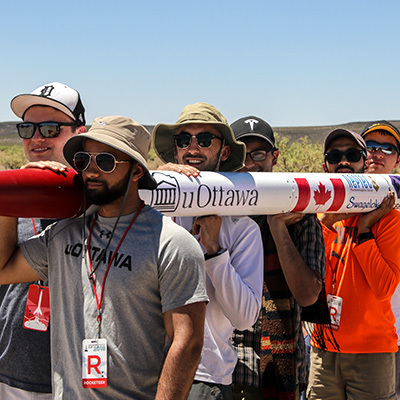 Design, build and launch an experimental sounding rocket to 10,000 ft! Design and build a concrete canoe that floats! Help us create the winning canoe! Patrick Dumond: Technical Advisor at JMTS and an Assistant professor at the Faculty of Engineering. Mention him for all your technical questions. Jason Demers: Resident Design and Manufacturing Advisor at JMTS. Mention him if you have any questions about the teams! Be courteous, helpful, and respectful to your peers. Each machine has material restrictions and training requirements that you will have to satisfy before using it. If in doubt, please ask. The room may be used for special events from time to time, respect these events and do not interrupt. 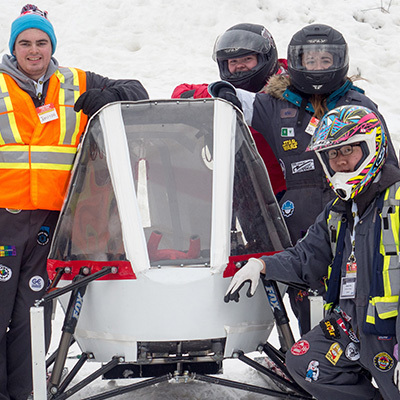 All student teams in the Faculty of Engineering are encouraged to apply for CEED Team Space Membership. 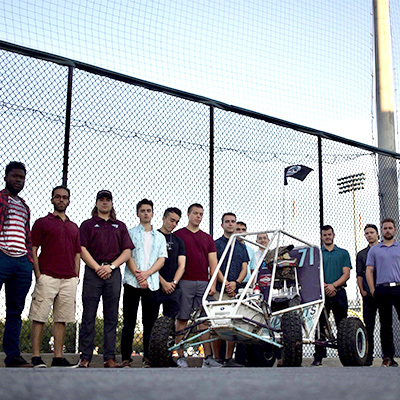 Membership provides access to either the Sandbox or the JMTS, allowing your team to work within the community of students, professors, and industry members working to ensure uOttawa engineering teams succeed. To be eligible for CEED Team Space Membership your team must consist of a majority of students from the Faculty of Engineering and must demonstrate a desire to participate in design competitions. By joining a team or creating a new one, you will be able to expand your knowledge beyond the classroom and get a practical hands-on experience that all employers want! You will also have an opportunity to network with mentors, industry and other students while having lots of fun!